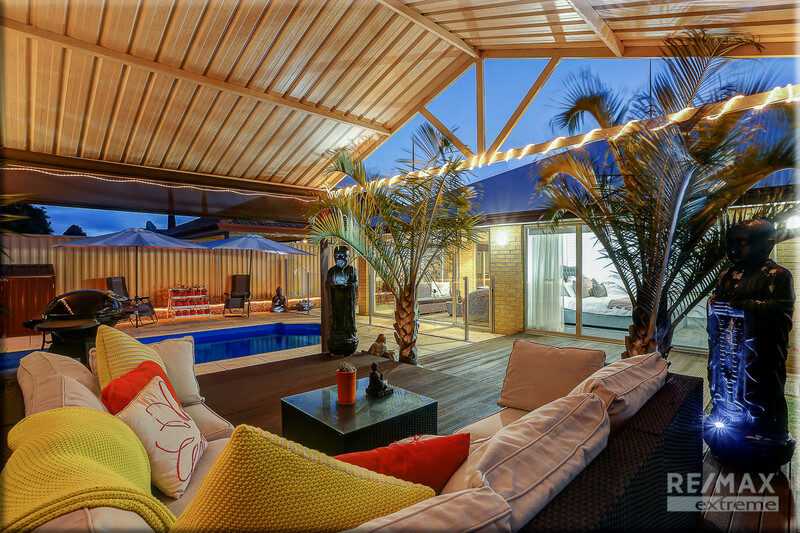 You can cancel the holiday away this summer as this tranquil family home is like having a tropical oasis in your back garden! 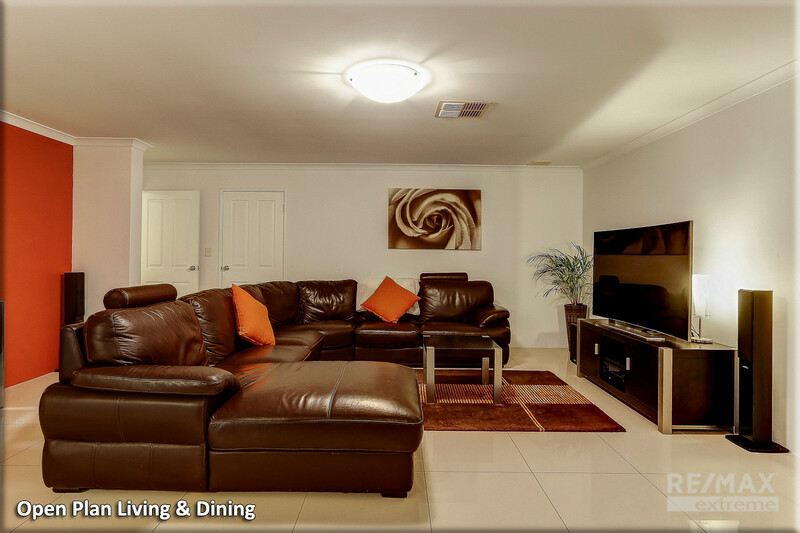 If you’ve been on the search for a spacious and stylish dream-pad then look no further as this one is sure to tick all the boxes! 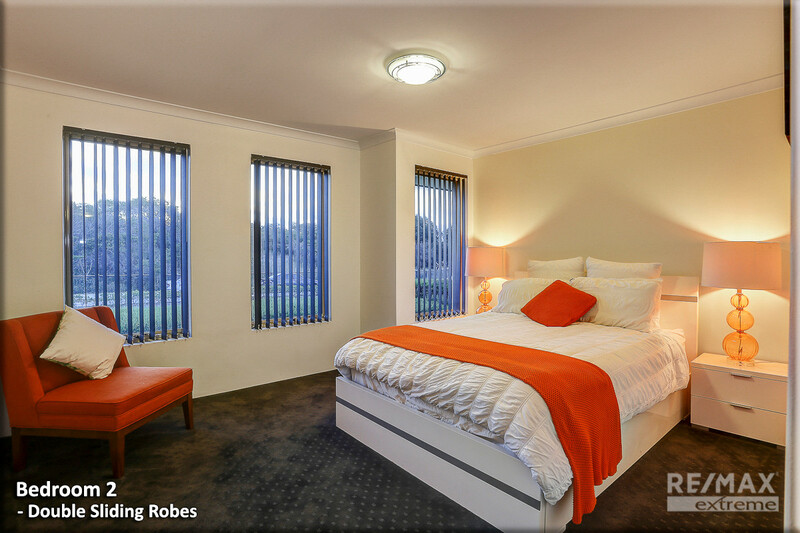 With a host of quality upgrades throughout you can simply move in, unpack and enjoy! 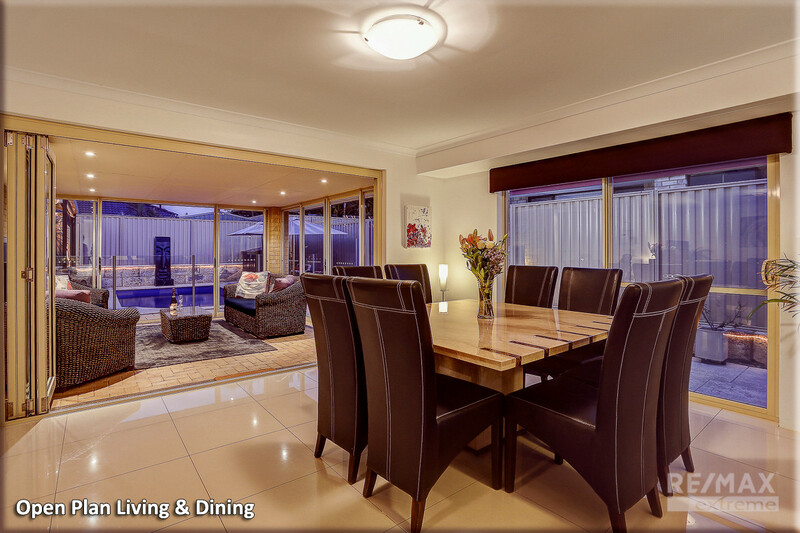 Don’t miss out again… CALL NOW to book in your private viewing today! 1. 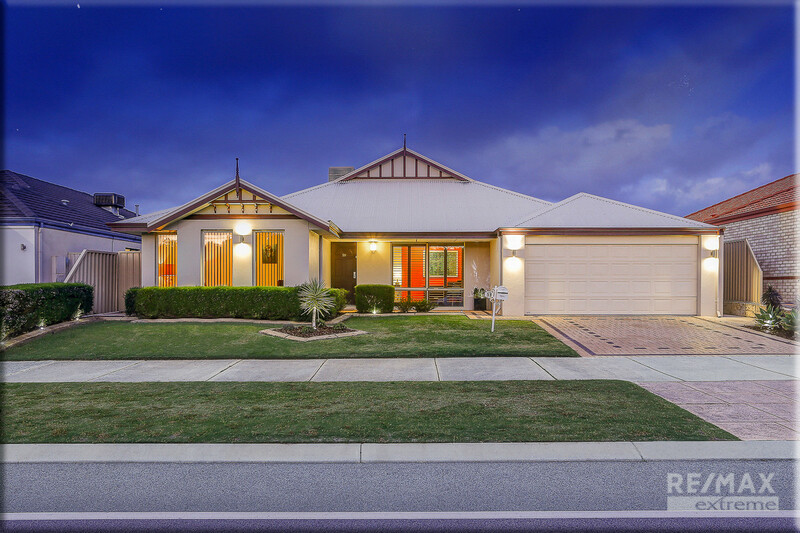 LOCATION – This larger than life 4×2 home looks out to beautiful conservation parkland in an area commonly known as “The Dunes”. 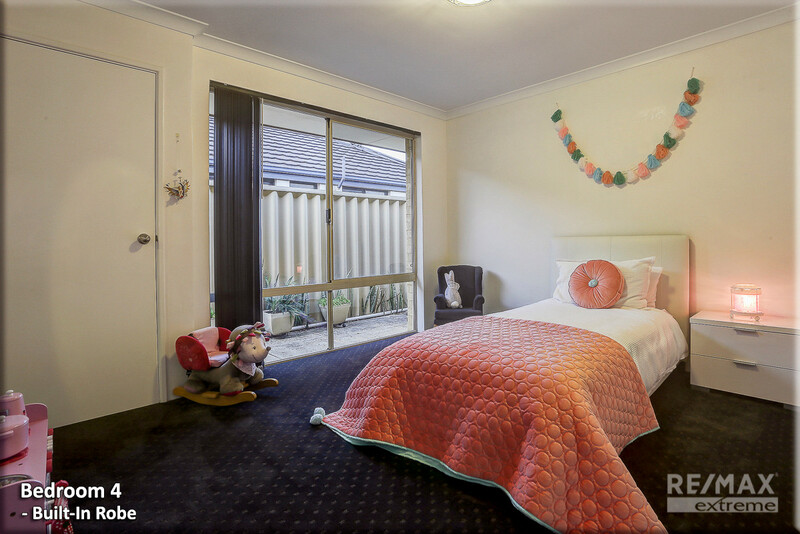 For families this is ideal as you have all the local schools such as Irene McCormack Catholic College, Butler High School and East Butler Primary all within a few minutes’ walk! 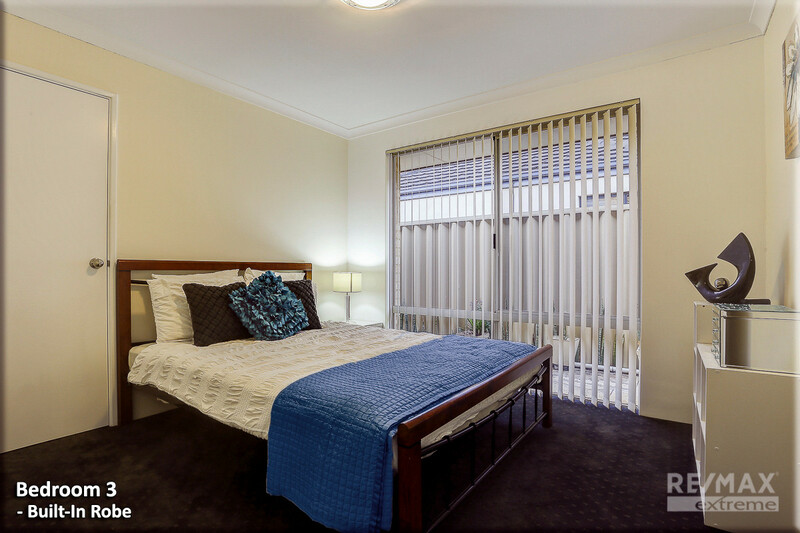 With all the amenities such as supermarkets, medical centres, dentist, hair salons, bus routes and the train station nearby; this is as convenient as it gets! 2. 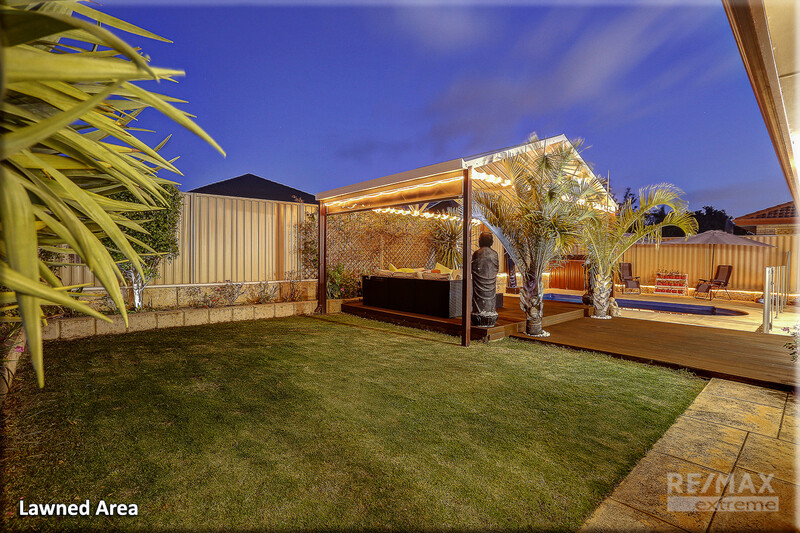 STREET APPEAL – Standing proud on a huge 594sqm block this well-illuminated home is nicely set back from the road beyond native plants & neat box hedging and looks out to manicured gardens making it instantly appealing to the eye. 3. 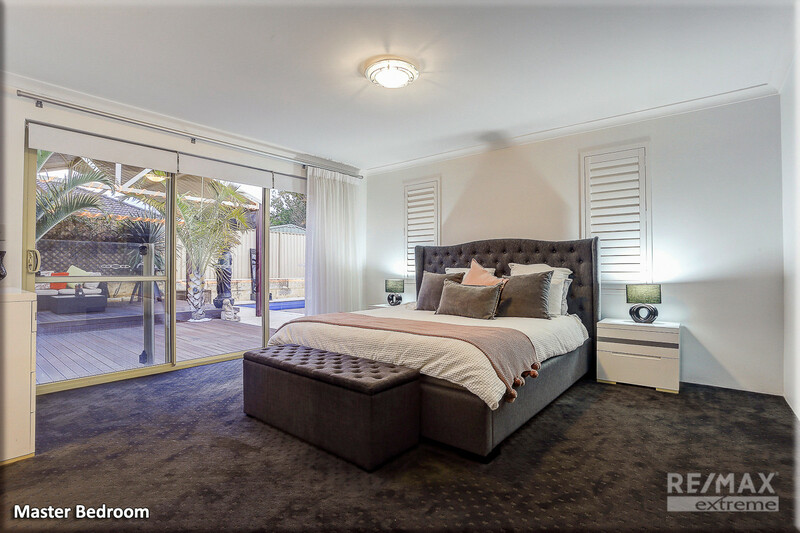 BEDROOMS – Nicely secluded at the rear of the home, the master bedroom is spacious in size and boasts ‘his & hers’ walk-in robes, sumptuous carpets, plantation window shutters, roller blinds and sheers. 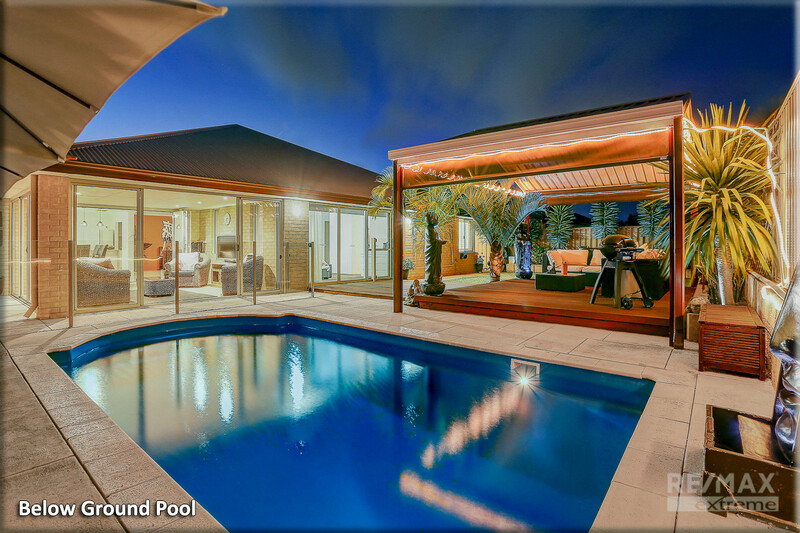 Thanks to the sliding glass door; you have immediate outdoor access to the pool… perfect for a midnight dip! 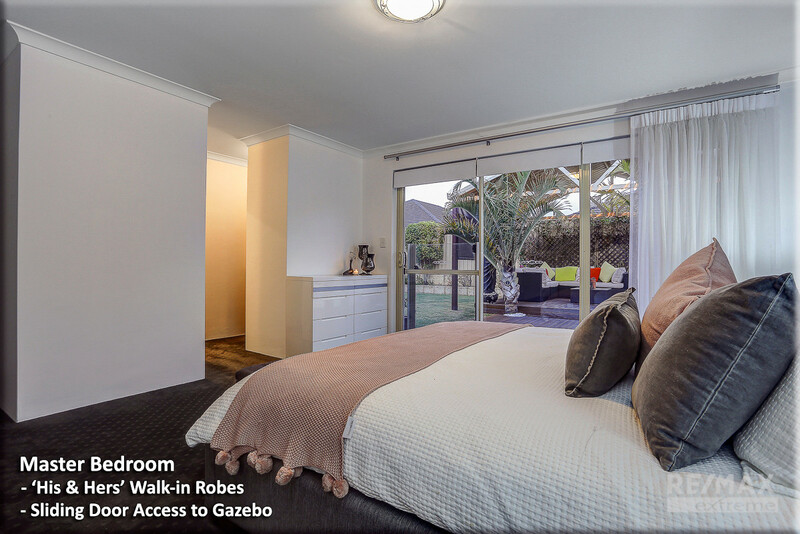 One of the main selling points to this warm & inviting home is that the minor bedrooms are all queen sized with large built-in robes meaning the kids will have all the space they need. 4. 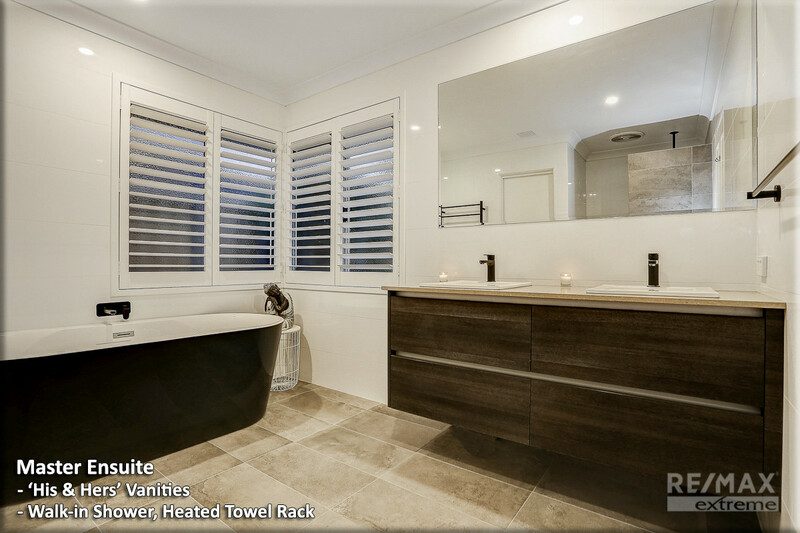 BATHROOMS – When it comes to bathrooms it doesn’t get much better than this! 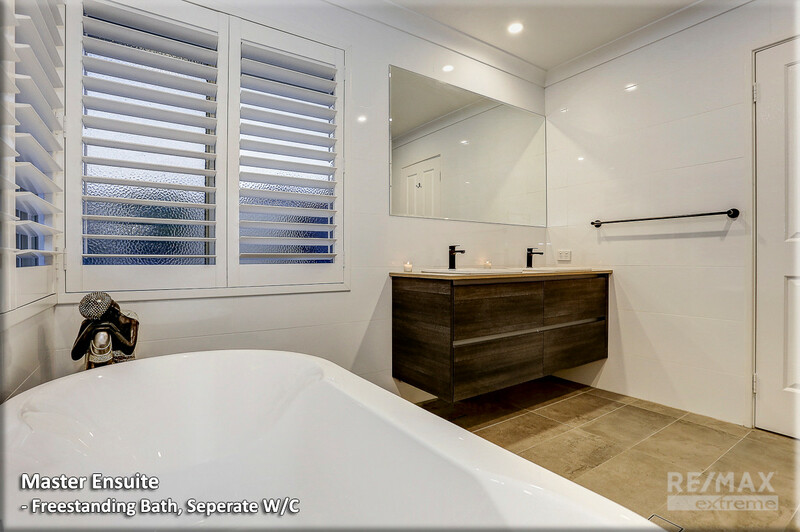 The master ensuite is simply stunning and boasts a walk-in waterfall shower, luxurious free-standing bath, floor to ceiling tiles, dual vanities with ‘Essa’ stone tops, heated towel rack and a separate water closet. 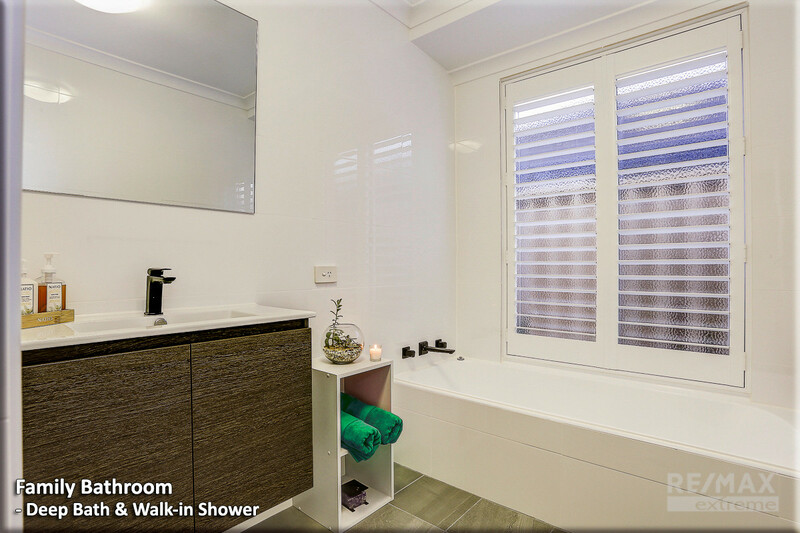 The family bathroom is finished to an equally high standard with its deep bath and all the bells & whistles. 5. 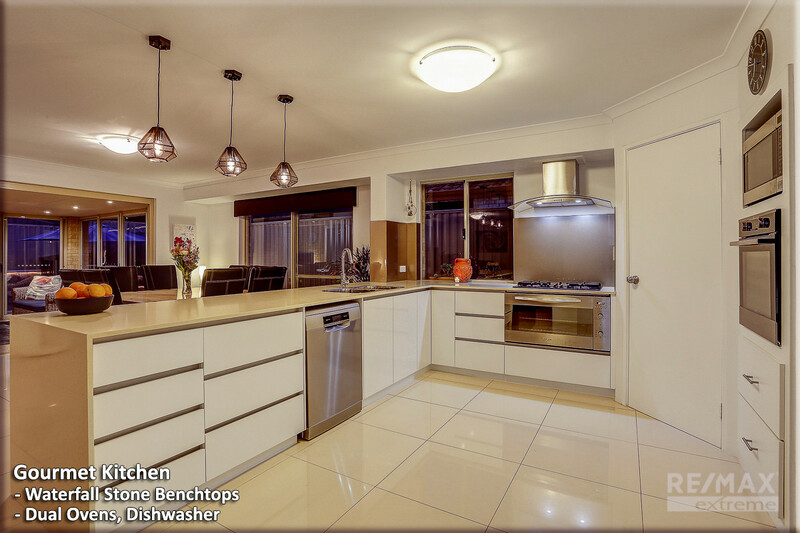 KITCHEN – If you like to get creative in the kitchen prepare to be impressed! 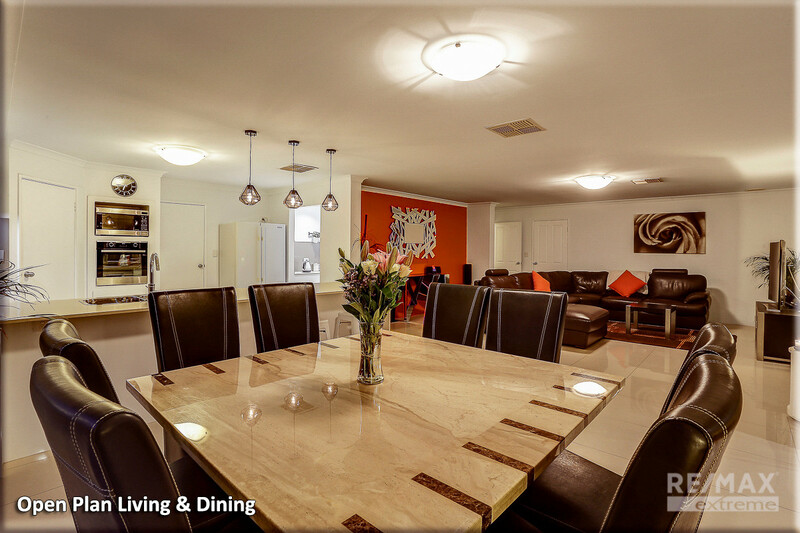 With a recent renovation and the addition of a separate scullery, this home has everything you need and more! 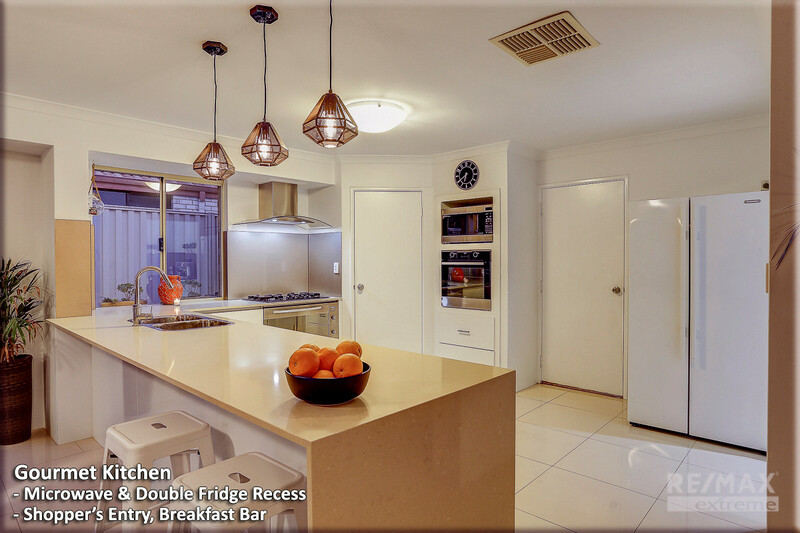 Features include: waterfall stone benchtops, 900mm stainless steel appliances, dual ovens + rangehood, dishwasher, wrap-around breakfast bar + soft closing drawers, and corner pantry to name but a few! 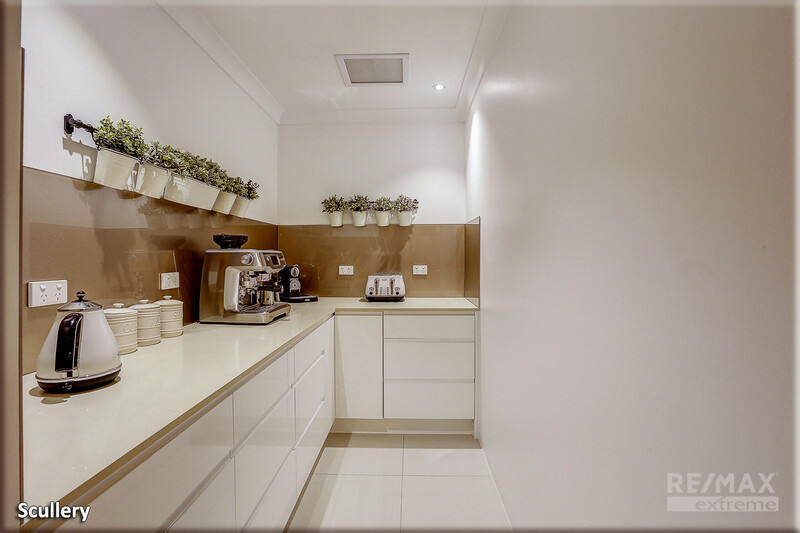 In the scullery you are blessed with masses of additional storage and a place to hide away all the appliances & prepare food for the whole family. 6. 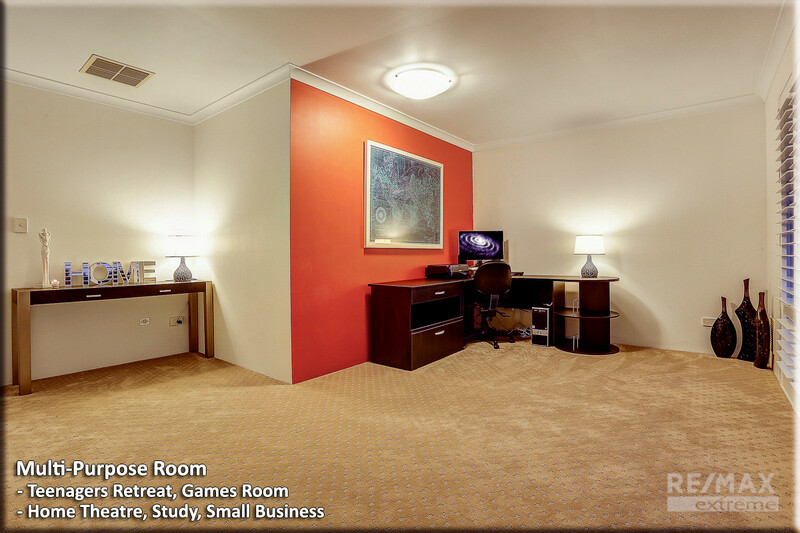 WORK FROM HOME – Located at the front of the home is the multi-purpose room! 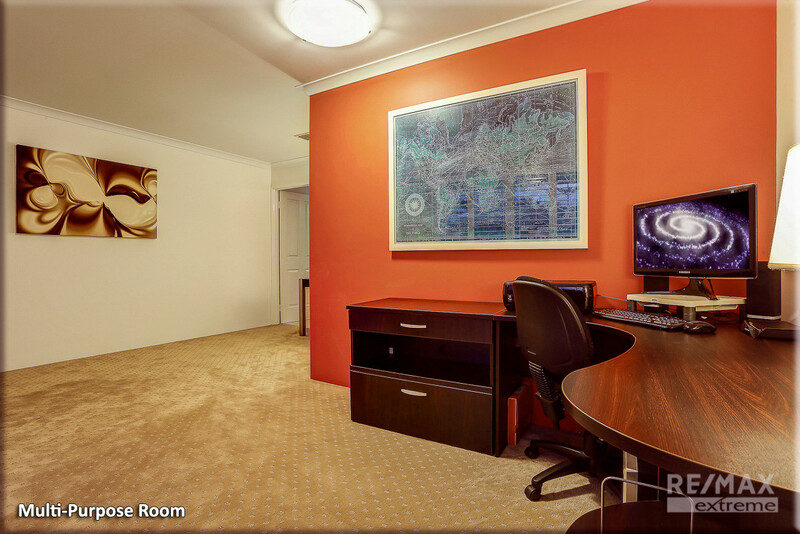 Originally set up as a formal lounge this room could be utilised in several ways and is perfect for those who are looking start up a business from home! Whether it be a private study, kid’s activity or teenager’s retreat; the options are unlimited, so you can decide! 7. 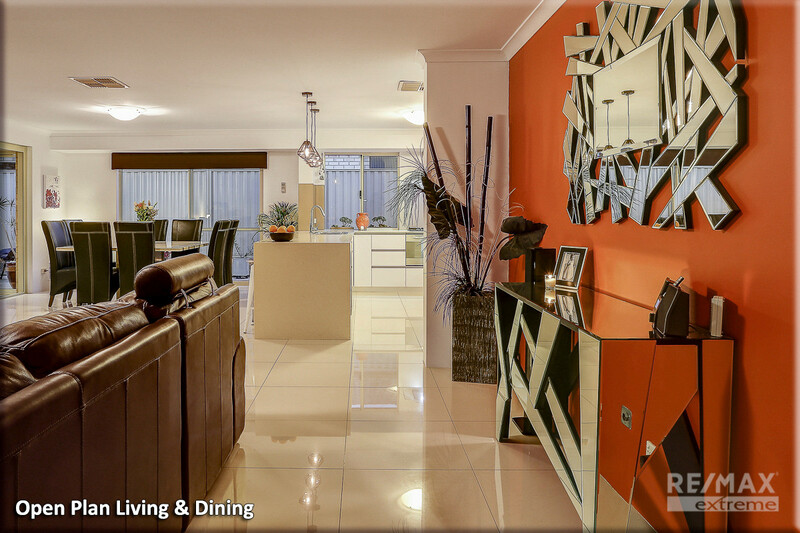 LIVING – When it comes to meals and quality family time, the open plan living & dining area is warm and inviting and is finished with porcelain tiles, and vibrant décor. 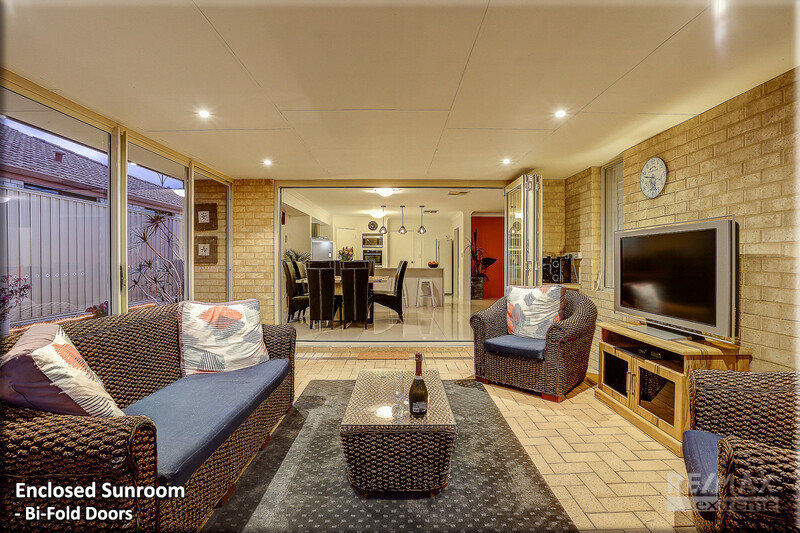 Through the bi-fold doors you can head to the ‘sunroom’ where you have a quiet place to put your feet up, grab a cold drink and watch the big game! 8. 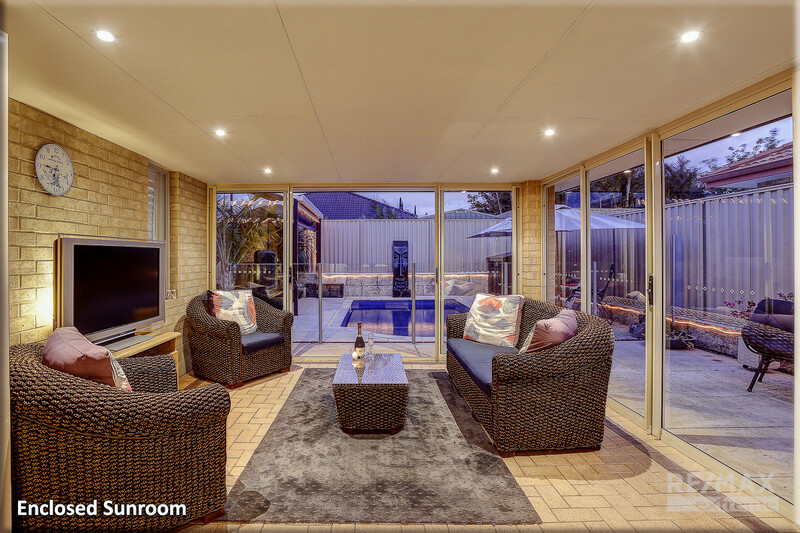 GAZEBO – In those scorching summer months the vaulted outdoor entertainment area offers the perfect setting for parties or social gatherings! 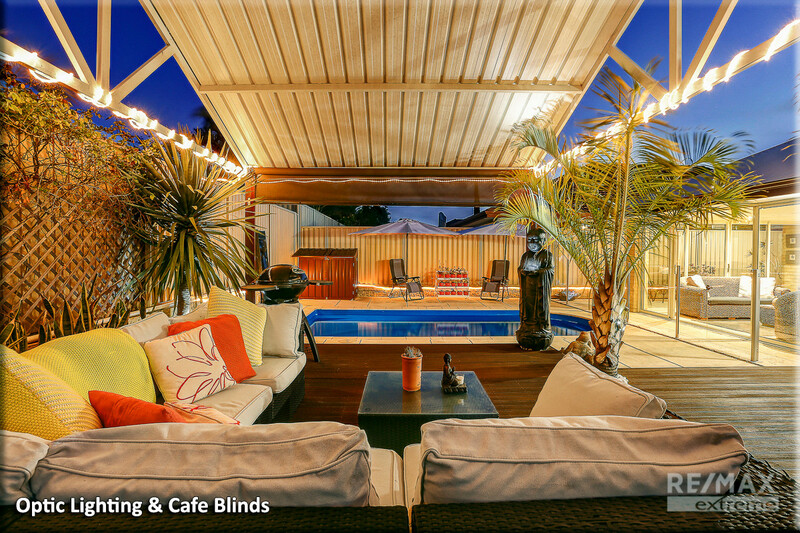 With a vibrant Balinese theme, this beautiful Oasis oozes tranquillity and relaxation all year round! 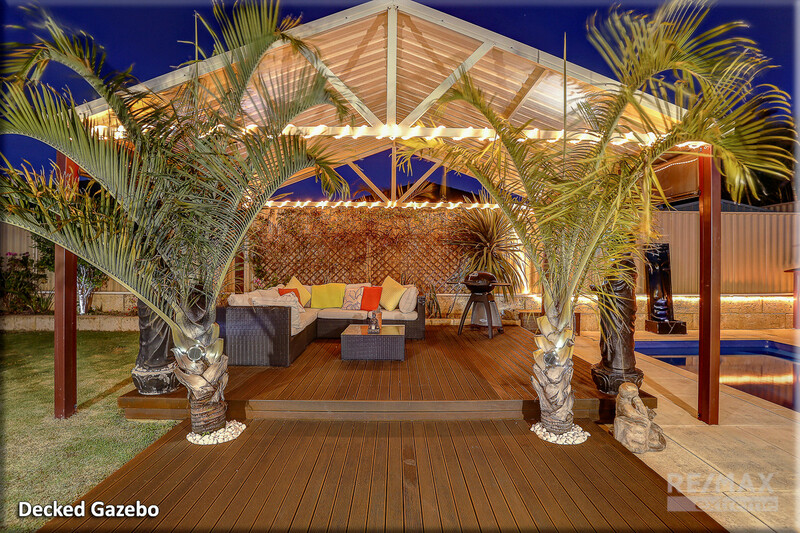 With timber decking, cafe blinds and an abundance of tropical palms you can enjoy your own private haven whilst the BBQ sizzling in the background! 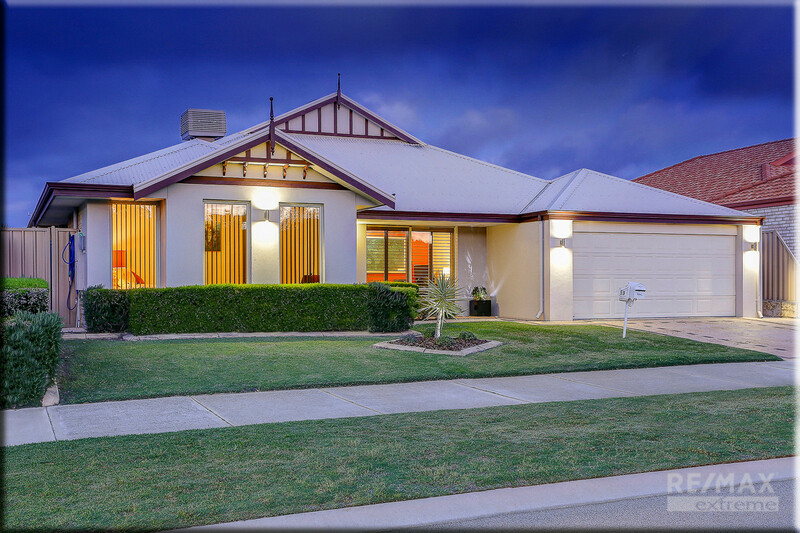 With extra lawn area the kids and family pets also have a safe place to play and roam free. 9. POOL – If you’ve over indulged at lunchtime and the heat is too much to handle, why not take a quick dip in the sparkling below ground pool to cool off for a while! 10. 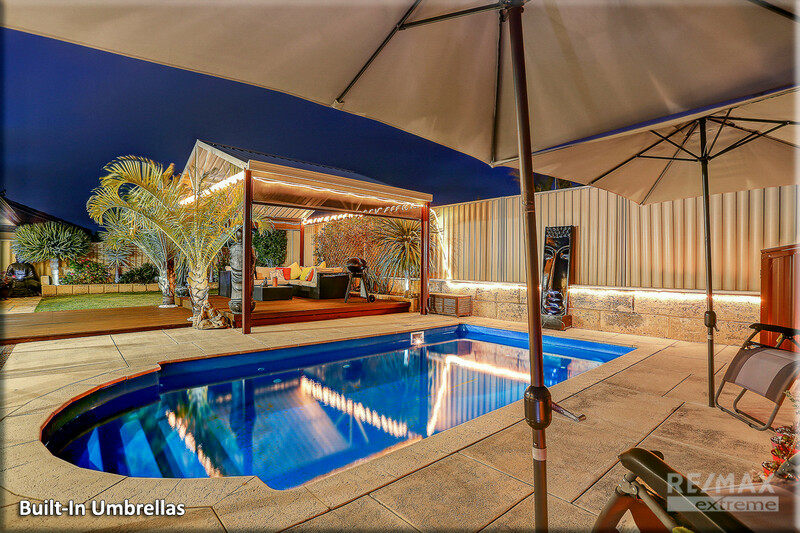 EXTRAS INCLUDE – Double remote garage, fitted laundry + linen, 14x solar panels + 3.5kW inverter, ducted evaporative air-con, additional TV & power points, coaxial points, 2x gas bayonets, upgraded doors, tinted windows, reticulation, outdoor ornaments, optic light, 2x outdoor umbrellas, various furniture negotiable and so much more!